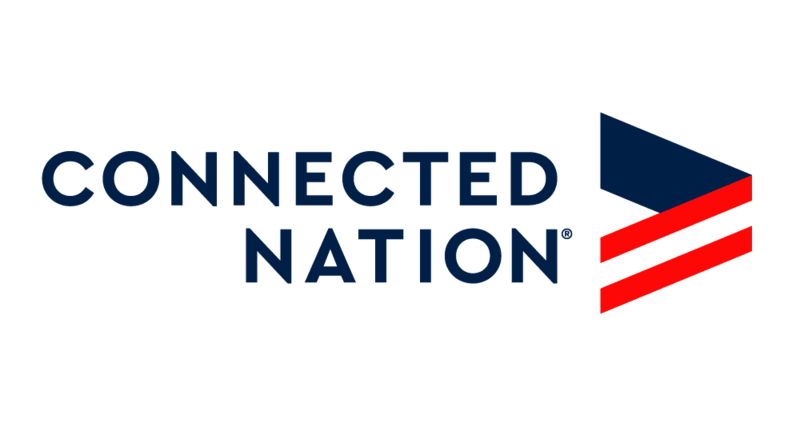 A: Connected Nation is a nonprofit, 501(c)3, working to develop and provide tools, resources, and methods to help local communities, states, and federal agencies create and implement solutions to their broadband (high-speed internet) and digital technology gaps. A: We assess and plan for the expansion of broadband access, adoption, and use. We do so by developing public-private partnerships to bring technology access to targeted geographies and populations. That work also includes developing programs focused on empowering people with technology skills and resources to improve their quality of life. A: We believe everyone belongs in a Connected Nation. That means everyone should have opportunities to improve their lives, families, and communities regardless of who they are, where they live, or how they begin. Q: Who advises Connected Nation? A: Connected Nation’s Board of Directors provides strategic and comprehensive oversight to our work on all levels. Local, state, and federal elected officials, representatives from K-12 education, healthcare, higher education, tourism, agriculture, libraries, and business, etc., also have input as we develop and implement programs and approaches to help urban and rural communities of all sizes expand their broadband access, adoption, and use. Q: What is Connected Nation’s relationship to broadband providers? A: We are a neutral party that is committed to meeting our mission through working with any and all providers of broadband service. We have an open door as to how to develop that relationship—with the extent and depth of that relationship often being defined by the provider themselves. Our connections and neutral approach to developing plans for broadband expansion is what makes it possible for us to build effective public-private partnerships within communities at the local, state, and federal level. Q: How is Connected Nation funded? A: Connected Nation is designed as a private-public partnership. Our funding comes from a variety of sources depending on the scope of a particular project or program. That funding includes, but is not limited to, foundations, state and federal grants, local community contributions, and more. Q: Why is mapping important to Connected Nation’s mission? A: Better and more accurate mapping helps policymakers, city planners, politicians, providers, and others understand where and how to reach those families, businesses, farmers, and others who are unserved or underserved by current broadband connections. We believe everyone belongs in a Connected Nation, so our mapping initiatives are designed to inform and advance the understanding and utilization of broadband services in the nation. The maps and analysis that Connected Nation produces for any given state or region are products that are imperative to good policymaking, informed business planning, and smart, effective broadband investment. Q: How does Connected Nation ensure its maps are accurate? A: We regularly reassess our maps using a variety of verification and data gathering methods, including information from government agencies, providers, and consumers. We provide several avenues for consumer feedback including local leadership teams, telephone calls, e-mail requests, and online forms. We also conduct field validation in areas where mapped broadband service has been called into question. Connected Nation then works with providers to modify the coverage data to show a more accurate depiction of service based on the additionally collected information. Q: What role has Connected Nation had in creating a National Broadband Map? A: During the State Broadband Initiative (SBI) grant program, Connected Nation solicited, reviewed, verified, and submitted ten rounds of data to the National Telecommunications and Information Administration (NTIA) across 13 jurisdictions every six months from spring 2010 to fall 2014. All told, we received, processed, and submitted to the NTIA records from over 1,200 service providers. The broadband data collected from various mapping entities and state agencies across the 56 states and territories that encompass the United States served as the inputs for the broadband information displayed on the National Broadband Map. To learn more about Connected Nation’s maps, click here. Q: Why does the National Broadband Map still need work? A: Unfortunately, the National Broadband Map has not been updated since the last submission of State Broadband Initiative (SBI) data to the National Telecommunications and Information Administration (NTIA) in October 2014. After the SBI grant program ended, the FCC took over broadband deployment mapping through their Form 477 filings from providers. However, there are several issues with this data collection that have led to misunderstandings about where broadband is and is not available. Not all providers have the resources and/or mapping tools necessary to develop the required broadband service areas. There are many different agencies and firms that either processed the SBI data (some of which is still in use) or are currently processing the Form 477 data in different ways, leading to inconsistencies across the board. All fixed broadband services (non-mobile, non-satellite) are required to be filed as census blocks. Although the census block is the smallest geographic unit maintained by the U.S. Census Bureau, some census blocks can be quite large in size, especially in rural areas. If only one or two households have coverage in a census block, the entire block is submitted as having coverage, without any indication as to how much coverage there actually is in the block, leaving those on the periphery of coverage behind. Connected Nation believes there should be a single national broadband data clearinghouse organization to ensure data collection/processing consistency and independent validation of service areas to refine the maps. Q: What is Connected Nation’s relationship with providers and politicians? A: We are a neutral, bi-partisan nonprofit that seeks to connect as many families and businesses with broadband (high-speed internet) as possible. As such, we work with both providers and politicians from all parties. Providers work with Connected Nation on a voluntary basis, often asking for assistance developing their FCC-required Form 477 filings and because we protect proprietary information. We also work with politicians to gather more accurate broadband data to help them make more informed policy and broadband infrastructure investment decisions. Our primary role between the two entities as well as with states and smaller communities is to act as a third-party agency to bring together the information each group can provide and find ways to improve the lives of consumers. Q: What if I see an inaccuracy in a map? A: Connected Nation relies on citizen feedback to verify the accuracy of the broadband inventory maps. Feedback can be provided through the Broadband Inquiry form available here. Connected Community Engagement This program is focused on helping communities develop Technology Action Plans to identify the challenges and solutions to expanding broadband (high-speed internet) access, adoption, and use in their specific community. This work includes surveys of residents, educators, business owners, farmers, economic organizations, and others, coupled with information gathered from providers and our data and mapping department to more accurately outline the broadband landscape of a community and identify a series of recommendations that would work based on the community being assessed. Digital Inclusion Our programs continue to evolve as technology changes to ensure that no one is left on the wrong side of the Digital Divide. Some of our projects that have focused on digital inclusion, ranging from Computers 4 Kids, an initiative designed to leverage technology for the benefit of vulnerable children, to Every Citizen Online, a program that provided free computer instructor-based training at public libraries, community colleges, community organizations, and educational centers. Digital Works This program provides digital literacy and job training, job placement assistance, and career mentorship. Digital Works connects people to leading-edge customer support and IT jobs for global corporations as well as the opportunity for advanced careers. Many program graduates benefit from the telework opportunities available with our various employer partners. Trainees without internet access at home or those who prefer a more traditional office environment can choose to work from a Digital Works facility when available in his or her community. Transforming Education Connected Nation believes that a key aspect of closing the Digital Divide is to ensure that our children have adequate access to the latest technology in schools, regardless of school type or demographic makeup. We work to connect students and teachers across the country through several programs, such as providing School Technology Assessments for districts and state education departments and handling the deployment of high-tech devices for AT&T’s ConnectEd project. Learn more about the ways we’re helping transform education.